If you have allergies or asthma, then this post will be interesting to you. I have had allergies for years and now it has transitioned into asthma. I am doing a lot more investigating these days to find out what I can do to minimize the effects of these two conditions. 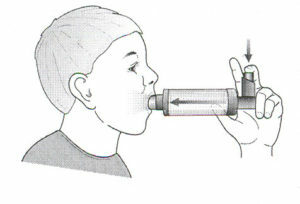 Most important trying to figure out how I can avoid asthma triggers for adults that might cause an attack. If you can avoid the triggers you will have far fewer attacks and a better life. One post I read recently listed the top 10 things that can cause triggers for asthma as well as allergies. Note that for other people the triggers could take on a different order or there may be others that cause these attacks. We all have a few tricks to avoid triggers, like not running inside when pollen counts are sky-high or keeping the windows closed and blasting the AC. There are other factors that can make symptoms worse, which can be avoided. Here is the list of the top ten things in my order of priority for me to avoid asthma triggers for adults. Friends who smoke. Cigarettes—with their numerous toxic chemicals and irritants—are nasty for everyone, but as an allergy sufferer, I am really sensitive to cigarette smoke and especially stale smoke on a persons clothes. In fact I often lose my breath and cannot take a breath when I am around someone who smokes a lot. Showering in the AM only. If I have been outside working or relaxing, I always take a shower before going to bed. In fact I undress in the laundry room so that pollen is not carried into our bedroom. A shower washes any pollen on my skin or hair down the drain. My clothes get washed before they get to the rest of the house to minimize the spreading pollen throughout the house. An extra glass of wine or beer with dinner. I can tolerate about two drinks before I start to have a runny nose. Hops in beer are especially bad since the alcohol has not only relaxed by bodies defense, I am also allergic to the hops in the beer. I try to stick with light beer and low alcohol beer. There are also beers that are made from rice and other non hop products. It is an awful thing to be allergic to hops, but I still manage to drink a few beers in the summer time. Air freshener, deodorizers, hair spray – These things have all triggered loss of breath, asthma attacks and runny nose. I try to avoid them like the plague! Hotels routinely use deodorizers to freshen a room, particularly if someone smoked in the room. This is a disaster for me. Stressful work deadlines. A sleep deficit and then stress which often makes your sleep deficit worse can worsen both allergy symptoms and asthma attacks. Having an asthma attack is a very stressful event. Waiting too long to take meds. Waiting too long can mean a far worse asthma attack. It has personally happened to me and I now know the danger of waiting too long. Medications that block histamines work best before you’re even exposed to allergens. Start medication a couple of weeks before the season commences or before you’ll be around allergens . A not-hot-enough washing machine. If you find yourself sniffling in bed, crank your washing machine to the hottest setting. this is a new one to me and I have never associated this issue with my allergies. Water workouts in an indoor pool. Chlorine-filled lap lanes can wreak havoc on your system. Some people are allergic to chlorine. Protect your eyes and take a shower after your swim to remove all possible chlorine effects. Try to swim in outdoor pools, where the gas is more readily dispersed, instead of indoor ones, and avoid swimming in chlorinated pools daily. Let us know if this list of asthma triggers for adults helps anyone and leave a comment if you have other items that impact you that should be added to the list. I have had a really difficult time for the past month with this hot weather and pollution. Coughing all of the time is not fun, with asthma and bronchitis!